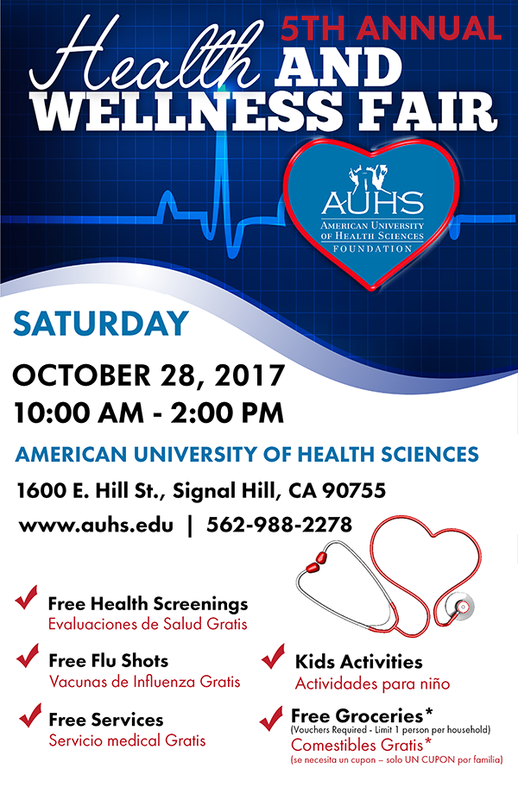 American University of Health Sciences Foundation will be holding its 5th annual health and wellness fair at 1600 E. Hill St., Signal Hill, CA 90755, from 10:00 AM to 2:00 PM. During this event, AUHS students, staff, faculty and local vendors will be volunteering their time and services and will be offering free flu shots and free health screenings to everyone in attendance. The university has also handed out 1,000 free groceries vouchers to various charitable organizations, local elementary schools, and social services agencies. The vouchers can be brought to the health fair and exchanged for free groceries. In addition to the health and wellness fair, AUHS will also be hosting a book fair on the same day and time. 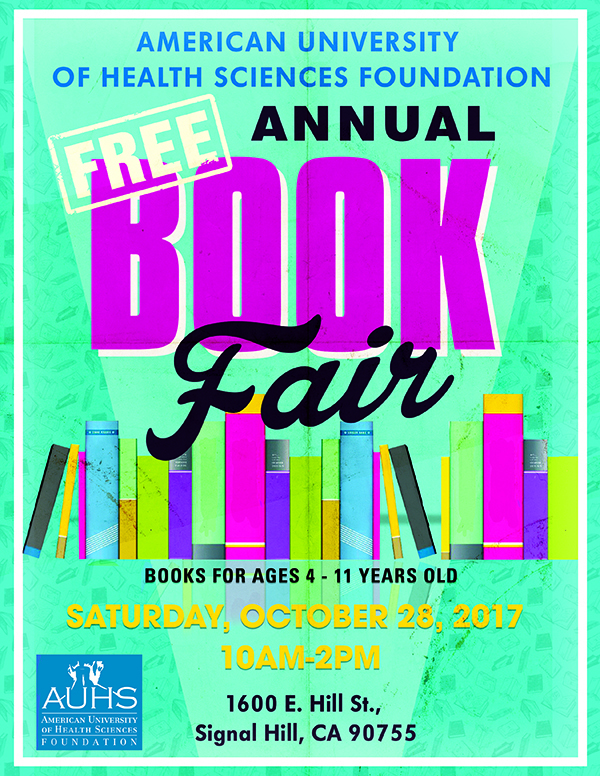 The book fair will feature books for children ages 4-11, and 1,000 free book vouchers have been given out. Kids will also have the chance to play at the Pumpkin Patch booth and have their picture taken. The book fair will take place at the same time and location as the health fair, and guests are encouraged to visit both. AUHS is a Christian based, minority-serving university, which educates students for careers in the healthcare profession. AUHS emphasizes the values of faith in God, love of humankind, and belief that all people have a right to healthcare and deserve a good quality of life based on wellness of body, mind and spirit. The university celebrates diversity, and reaches out to groups currently underrepresented in healthcare and research. AUHS provides the undergraduate and post-graduate curriculum, hands-on practical training and supportive environment required to create competent and compassionate healthcare professionals. American University of Health Sciences is accredited by the WASC Senior College and University Commission (WSCUC), 985 Atlantic Avenue, Suite 100, Alameda, CA 94501, 510.748.9001.